Welcome to your novel home. Splendido. Incanto.Raise a toast to the timeless beauty of Italy’s Tuscany. And celebrate its charmed in your residence at the Tuscany Private Estate in Mckinley Hill. 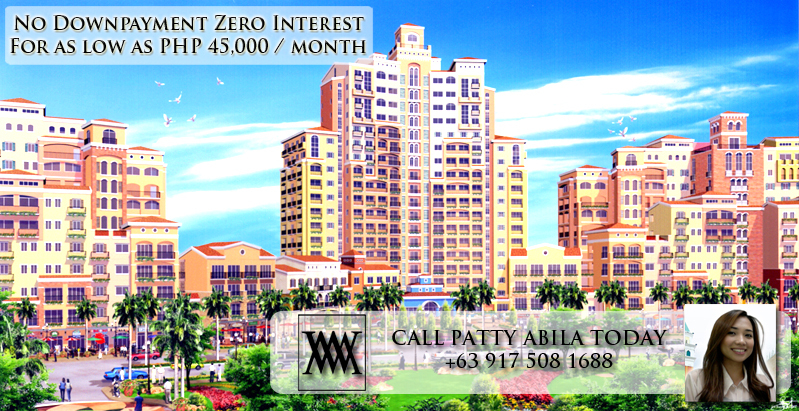 Experience La Vita Toscana in McKinley Hill’ s newest community: the Tuscany Private Estate. Crowning your gated 1.5-hectare village are seven Tuscan – Mediterranean residential clusters which emerge from nature – rich surrounding. Admire eras past with its historic design, stone detailing and elegant arches. Adore the Tuscan world – renowned vintage Ponte Vecchio, Floreancea– the oldest and most famous bridge right at home. About a fifth of your enclave is dedicated to giardini and greenery – a tribute to natures generous beauty. Evident in the verdant park and courtyards with fountain. And the lush trees that greet you everywhere you turn. Discover La Vita Toscana at home. At the ground level of cluster 7 is Isola Toscana, where play amenities-fit for the sophisticate – are graciously laid out. Outside, immerse yourself in the sparkling waters of a variety of pools. Soak some sun at the sunbathing lounge and bond with your loved ones at the playground. Live in a healthy harmony with the nature at Parco Bello, a park with charming lagoon. Inside are a sauna, gym, function room and playroom. Each villa-style residence suit every taste. Choose from a one bedroom to a suite with two to three bedroom or from a one bedroom loft to a two-level, three bedroom home at the penthouse. Embrace a world free from worry. At the Tuscany Private Estate, tranquility triumphs over the city’s bustling activity. 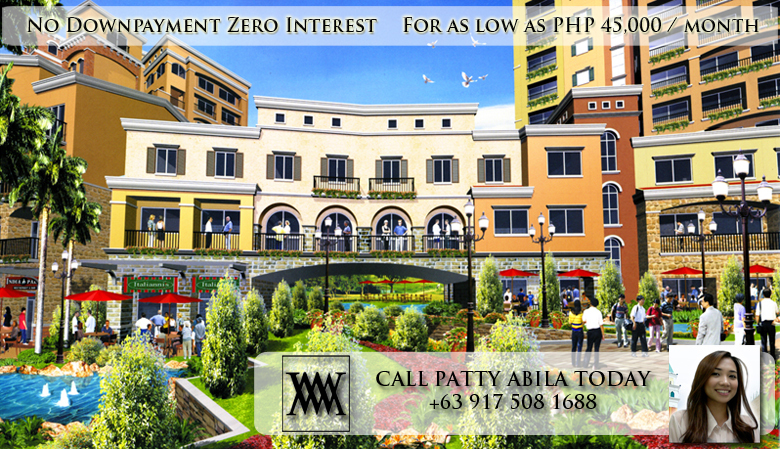 Yet it matches location in Fort Bonifacio, Taguig brings you close to a cornucopia of modern lifestyle comforts. Turnover date for Tuscany Private Estate Cluster 1, 2 and 3 are on June 2011 (plus 6 months grace period), while for Cluster 4, 5, 6 and 7 will be on December 2011 (plus 6 months grace period). We still have lofted units available. I would like to discuss this more to you if you’re free this weekend for our open house, Ma’am. I’d be out of the office today and I’ll have limited access to the internet. You may reach me at 09175081688 Ma’am for further inquiries. I’d be out of the office today and I’ll have limited access to the internet. 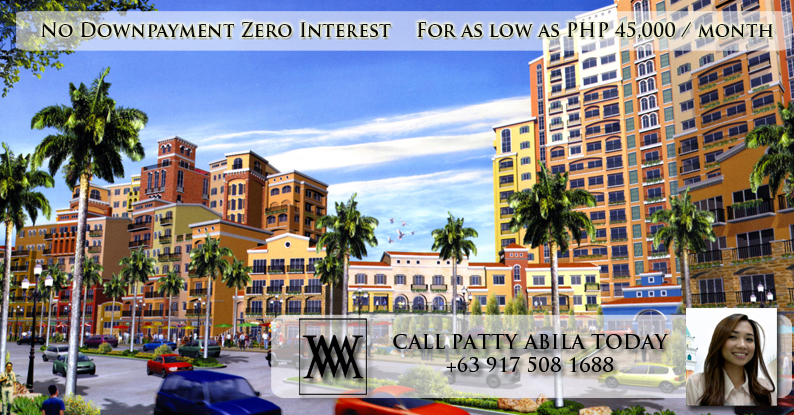 You may reach me at +639175081688 Ma’am for further inquiries. I won’t be available for the open house, but please email me with the price list for 1BR loft and flat. Thanks! May you please email me the price list for Tuscany Private Estate? i would like to know if you have 64.50 sq mt 2 br flat available in tuscany mckineley hills and if yes what is the price for that. please mail me the rates for 1 and 2 br flat units. 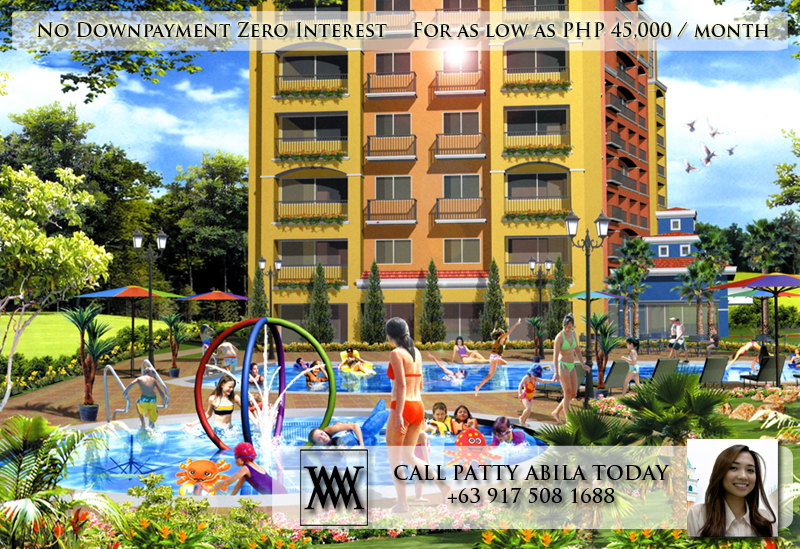 Can you please email me if there are still available units at McKinley Garden Villas, or can you please give me details. I have a lot at McKinley West Village and would also like to know updates of its development. 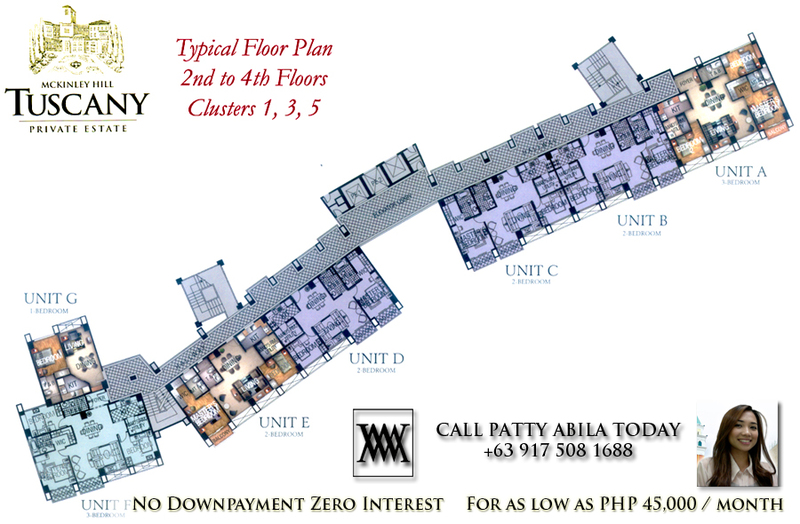 Is there any unit available at Tuscany Private Estates but we don’t want the high towers , preferably 1- 10 floors only. When is the turnover date for cluster Elba? 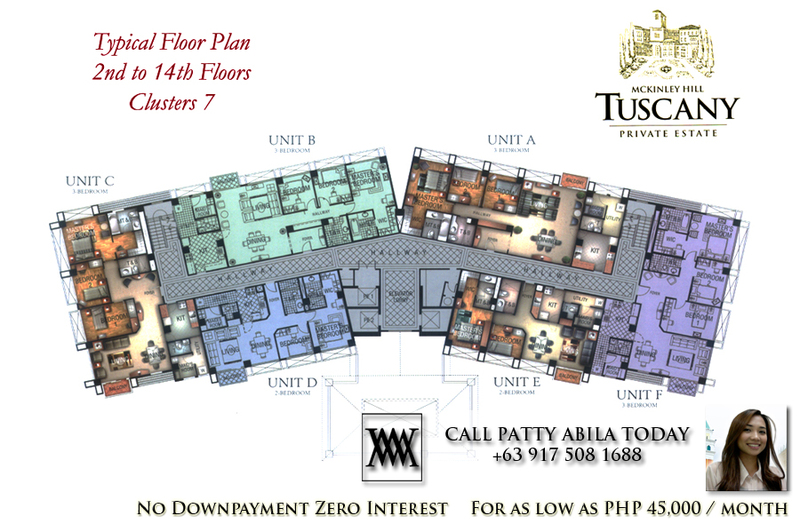 anyone interested to buy or rent a two bedroom unit at tuscany private estate – 2nd floor tower 5? unit was recently turned-over. How big is unit? How mcb u selling? 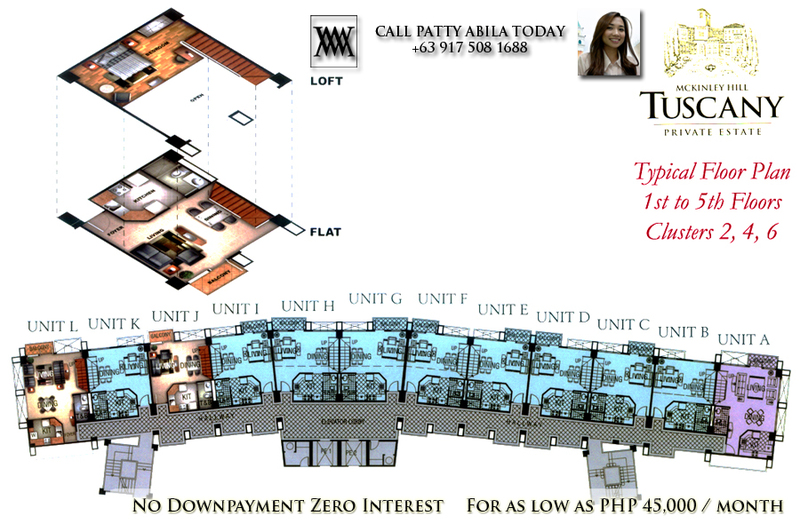 How mch are u selling tuscany 90sqm 2 bedroom now?